GR8TOPS installs all of the products we sell — with any available options — at our fully equipped shop in Lexington, SC. Customers can drive their Jeep in and drive out with a complete half-cab setup including a spray-in bedliner to seal the rear portion of the bed. If you don’t feel like tackling the installation yourself, you can drive in for a visit to have us professionally convert your Wrangler or Unlimited into the custom Jeep you have always wanted. 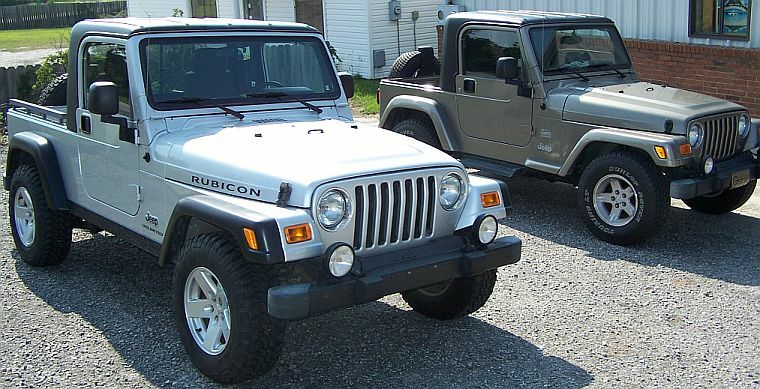 We start by removing your existing OEM soft top and hardware or hardtop and accessories and completely strip the rear interior of your Jeep. This includes removing all the rear carpet, rear seat belts, and seat brackets to prepare the bed of your Jeep for its new GR8TOPS half hardtop. If you can remove any of these items prior to arrival, it helps keep the labor costs down and gives us a jump start on the installation. We then install the fiberglass bulkhead divider panel into the bed area of the Jeep. The bulkhead is then completely sealed into the Jeep using a urethane-based sealant to ensure water does not come into the cab area. 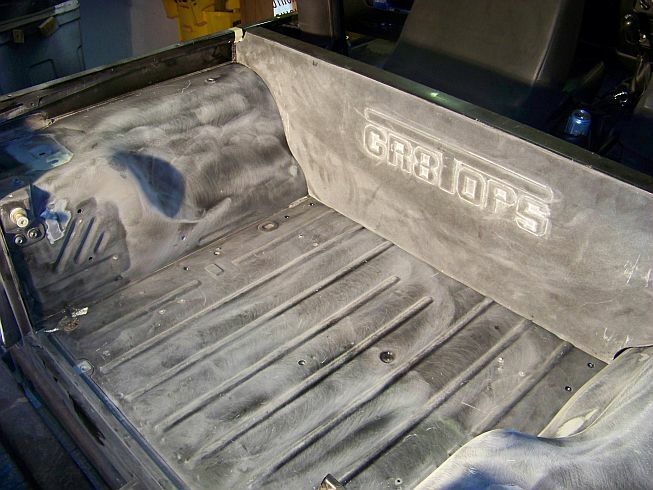 To complete the installation, GR8TOPS can also completely seal and protect the rear bed of the Jeep with our own in-house Armadillo Spray-On Bedliner. Armadillo Liner can be sprayed in the bed area of the Jeep or the whole interior of the Jeep to provide a very finished, factory look to the conversion while lending extra protection to the passenger compartment. The Armadillo Liner provides a great protective, gripping surface, whether there will be hunting dogs tracking on it or a toolbox mounted in the bed. 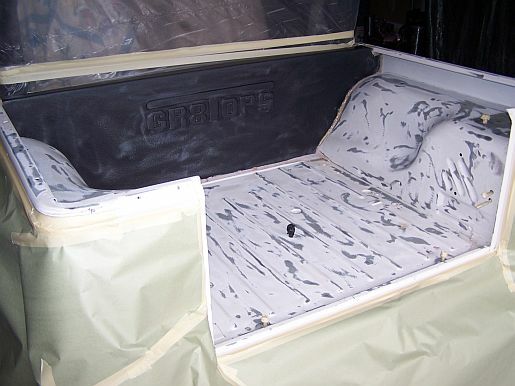 Pricing for a complete installation of the GR8TOPS hardtop and Armadillo Liner spray on liner in black in the rear bed area begins at $950 in addition to the price of the hardtop kit. Pricing goes up from there depending on what optional upgrades on the hardtop that require additional shop time to install such as speaker pods and 3rd brake light wiring. Approximate additional pricing for spraying the whole interior cabin of the Jeep as well as the bed is$250 due to the significant additional amount of shop, prep time and materials required to spray the cabin interior. These prices are approximate, please contact us for specific pricing for your install. At this point in time, we do not do any custom rollcage work. We do occasionally take trades and and credit minimal installation costs on your OEM take off soft tops, rear seats, carpet and hardtops depending on demand and season. Please inquire about potential trade credit when you set up your installation appointment. Depending on the complexity and options you are requesting for your Jeep, some installations can take 1 business day, but please allow 2 business days for the installation. Appointments are required for all installations and spraying of Armadillo Liners on your Jeep or truck. Email or call us for a complete price quote for your specific installation and options so we can schedule the appointment to have GR8TOPS create your dream Jeep.